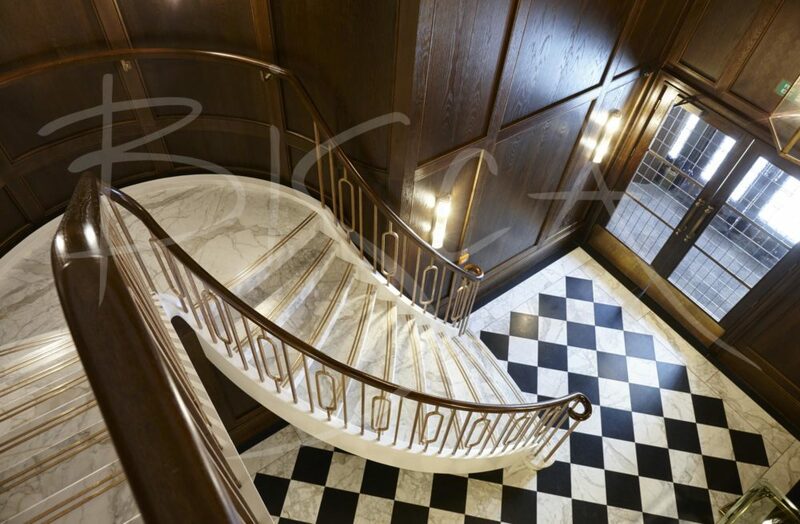 Classic Staircase of stone and bronze, London. 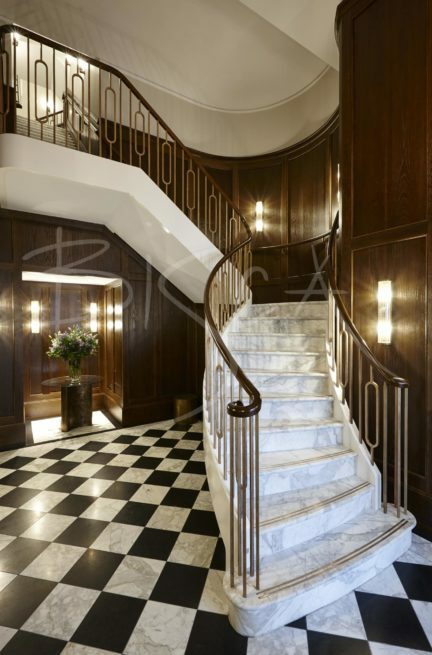 A classic staircase in the entrance lobby of a central London apartment complex. The stair sweeps up from ground, through a half moon landing, to mezzanine level and beyond. 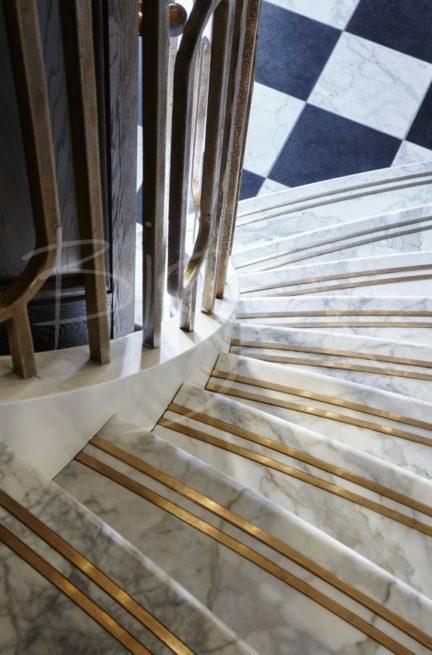 The steel structure clad in cool marbled stone has a tread inlay of bronze. 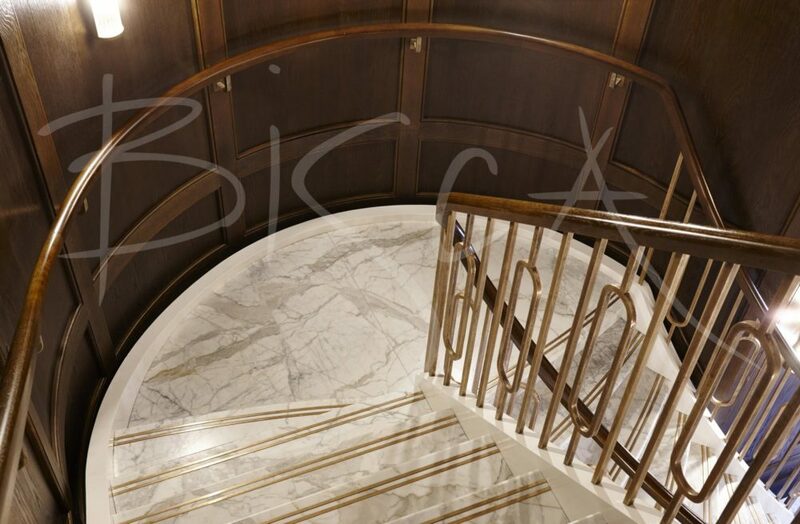 The bronze infill gives the treads non-slip properties whilst visually linking to the bronze balustrade. The hand cast bronze balustrade is both timeless and tactile. 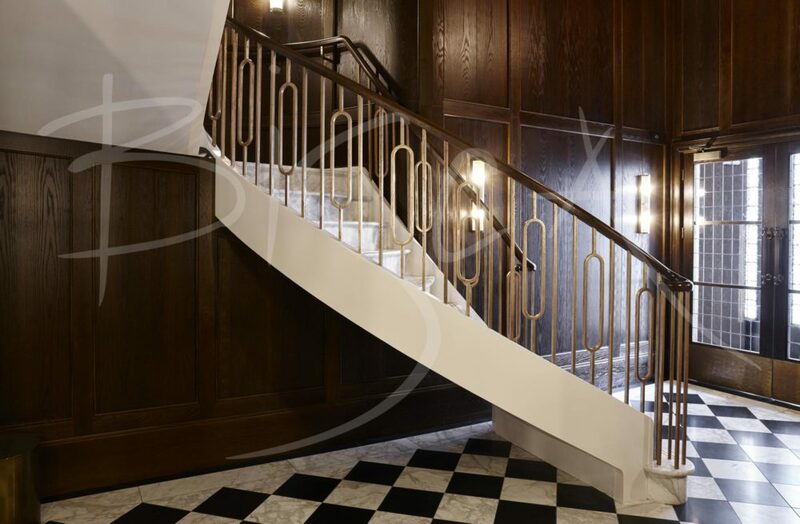 A rich dark timber handrail matches the timber panelling in the space.